Dirty leather lounge suites and couches can now be a thing of the past. Pride Carpet Cleaning can bring back that luxurious feel and look of your leather lounges in just a few hours. Pride will clean every square millimetre of your leather by hand, with our special blend of leather cleaners (which includes lanolin) which nourishes, protects, rejuvenates and restores the leather back to its former glory, leaving it plush and soft with a pleasant smell – just like it was when it was new. We don’t cut any corners either with our leather cleaning service, with each three-seater couch, our technicians will spend a minimum of one hour, and we include the backs, sides and in between the cushions – fully restoring the leather back to original condition. Call or text 0406 542 992 and quote this article to receive these special Perth leather lounge cleaning offers. 1x Three seater lounge suite expertly cleaned by Pride and receive our deodorize, re-nourish and protected treatment for just $100*. Can be used in conjunction with other offers! 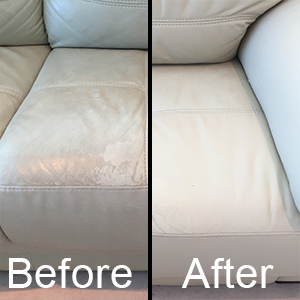 Call or Text 0406 542 992 and quote this article to receive these special offers on Perth leather lounge cleaning.